Lvivity is a company specializing in mobile applications development and holding a portfolio of dozens of successful projects differing in complexity and designed for various business areas. We take on the whole cycle of development, starting with concept development and finishing with final product introduction. Our experience and skills, combined with advanced tools and technologies utilized, allow us to develop complex, scalable, and functional mobile apps for iOS, Android, or any other platform. A cell phone is the only device which people carry along with them almost all the time, actively using it throughout the day. It is the closest channel of interaction with the target audience which allows businesses to stay in close touch with their customers. Undoubtedly, Apple iPhone can be called a unique, innovative product which has set new standards for design, operating speed, and ease of use for the entire cell phone industry. A buoyant demand for Apple smartphones provides good investment returns while developing software for iOS. We offer a complex customer oriented iPhone/iPad application development, translating our client’s ideas into reality. No matter what business niche you are in, we are ready to offer you the ultimate solution. This platform is a leader in the mobile devices market and provides users with personalization and choice opportunities beyond comparison. High level of Android platform versions fragmentation and a huge number of devices on the market make app development very specific, imposing higher requirements for quality testing. The Lvivity team has no problem coping with these challenges, and we are ready to provide you with the development services, creating reliable, high-quality, and efficient Android apps. This will ensure your business access to a vast target audience. Cross-platform mobile applications work equally well on devices running different OS. This allows avoiding the necessity to develop a separate software version for each platform, reducing costs. Cross-platform apps are usually simpler and cheaper to maintain because a certain part of the code is reused. It often becomes the best solution for development costs reduction and quick product launch on the market, especially when more than two platforms have to be supported. 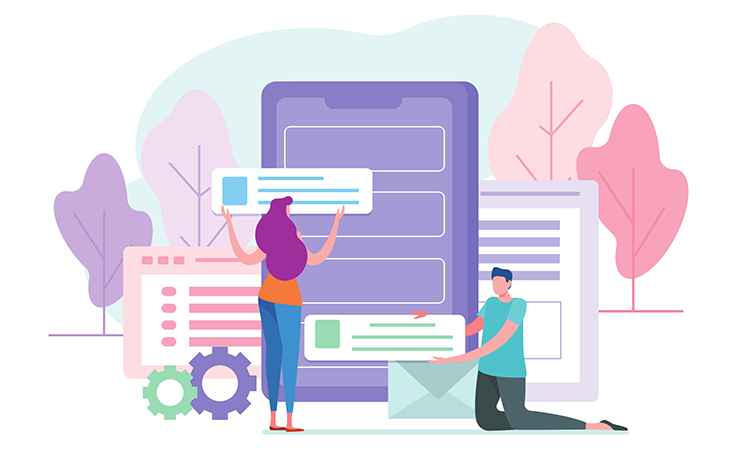 Our team makes real mobile development ideas of any complexity level and integrates ready solutions for business tasks efficient implementation. We approach each project individually and develop the very solutions which will help our customers achieve their goals. We have created a well-coordinated mobile application development system, keep you updated on the job progress, and provide technical support for the application throughout its entire lifecycle. Cooperation transparency and its maximum efficiency are the key principles of our work on the mobile services market. We value our customers’ trust and focus on our long-term cooperation. Our customers’ needs are our priority concerns. That is why we strive to provide our customers with high-quality code and timely execution of orders. With our QA-specialists’ support, we develop fully-featured mobile applications which perfectly work on any smartphones and tablets. Our company strive to realize each of our next projects better than the previous one. And this becomes possible due to the successful combination of our experts’ experience, effective organization of development processes and advanced technologies.